A sense of familiarity can be an odd thing – at times triggered by the inside jokes that we’ve been lucky enough to be included in. 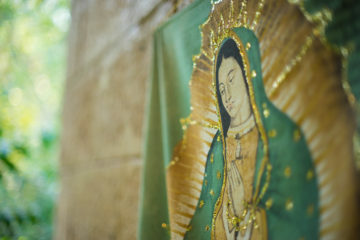 She smiled nodding back at me, and as I passed on the way to my flight, I nodded to the bright paper bag next to her that read Pollo Campero. 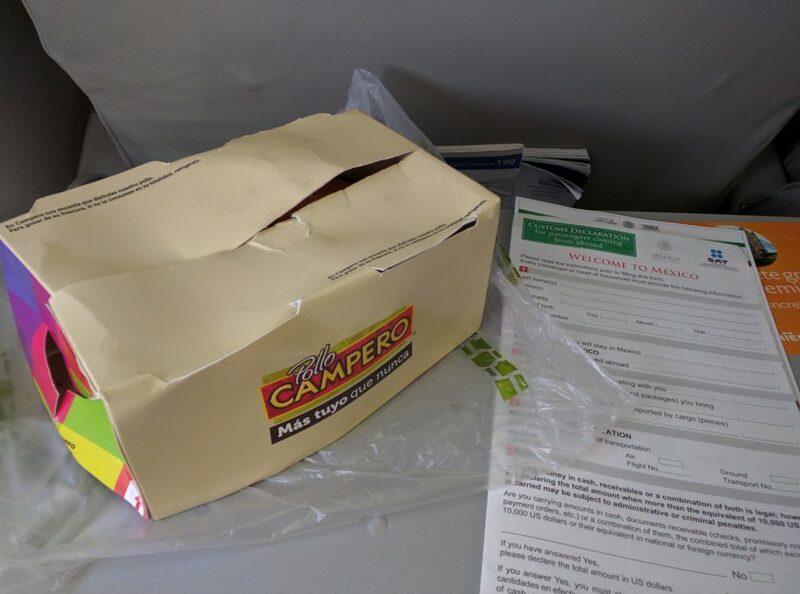 I nodded, a little incredulously, but sure enough, as I boarded the flight – and every other from El Salvador to the US since – I would see at least ten bags of freshly cooked Pollo Campero chicken carried on and held in laps, stuffed under seats, or in the overhead bins. A travel bag of Pollo Campero stuffed under the airplane seat next to mine. 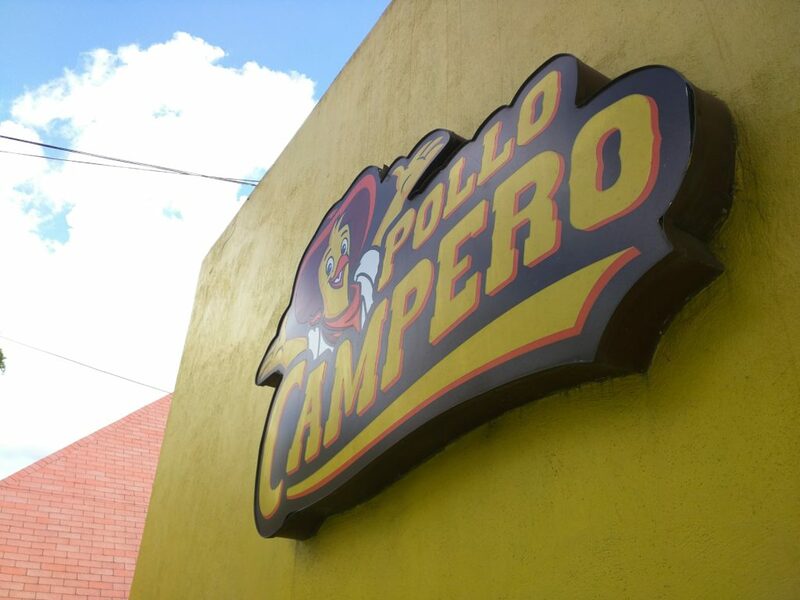 Pollo Campero is just a fried chicken fast-food restaurant, sort of a latino KFC (though much more delicious). A Pollo Campero location in Guatemala City, literally in the same building as their childrens’ science museum. 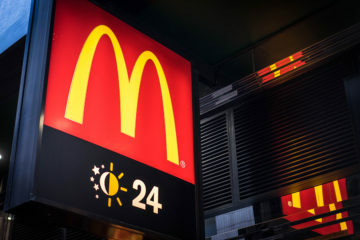 The first time I ever had it was actually my second trip to El Salvador. I was hanging out at the beach house of a friend of a friend (…of a friend) and as we lounged in the cheap beach chairs stacking the cans of Suprema, Regio, and Pilsener, it was decided on for lunch. I’ll never forget watching the first person finish the meat of his chicken breast and toss the bone to one of the starving stray dogs that had been attracted by our feast. The dog – not much more than a skeleton herself – devoured the bony scraps whole! I generally try to bite my tongue, but I felt compelled to comment in my broken Spanish about how bad it was for dogs to eat chicken bones. 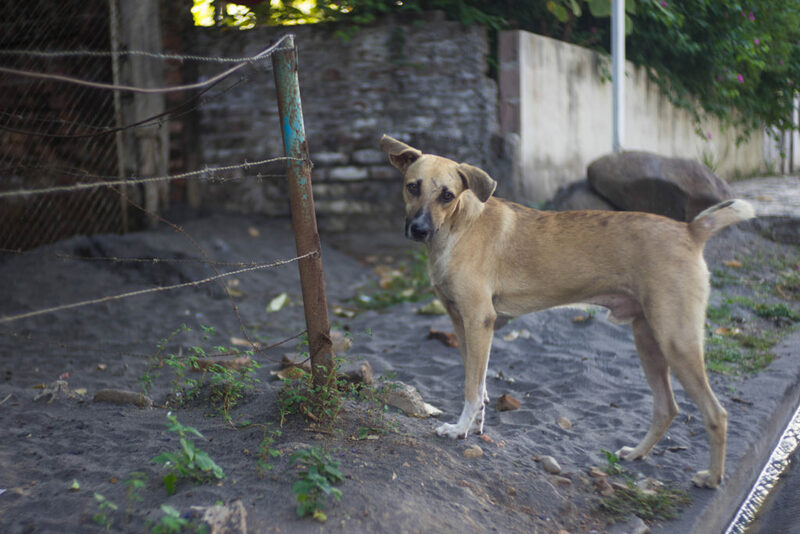 Stray dogs are actually quite common in El Salvador. “Well, its better than nothing,” was the response. I looked back at the three or four dogs eagerly watching my every bite. I had to admit, I couldn’t argue with that logic, and when it was my turn, tossed them my bones as well. At the airport, travellers eagerly buy a special “Combo Viajero” (travel combo) bag of Pollo Campero specifically designed for carting the chicken back to your family in the US (or wherever you happen to be going). During my first trips, I assumed that it was only available in El Salvador (which was wrong, it’s actually a Guatemalan company). The Combo Viajero is specifically for travelling. Months later, though, I saw a location while driving through Dallas. In fact, according to the Wikipedia page, Pollo Campero has locations in eleven countries, including 63 locations in the US. So, I’ll admit, I’m still at a loss as to why Central Americans so religiously cart this chicken all the way home. 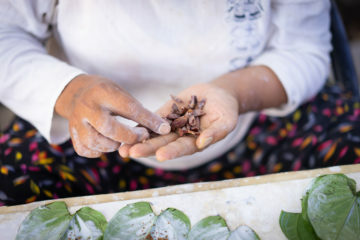 Does it taste different in Central America than in the US? Is it a tradition that started and just never stopped? Was there a marketing campaign behind it? Is there a story? I hope to find out one day. 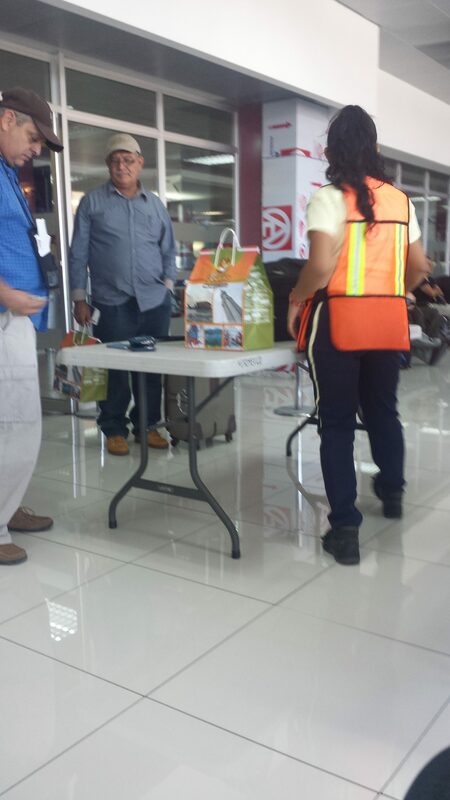 In San Salvador, they’ll actually do two security checks of every single passenger heading to the US or Mexico. 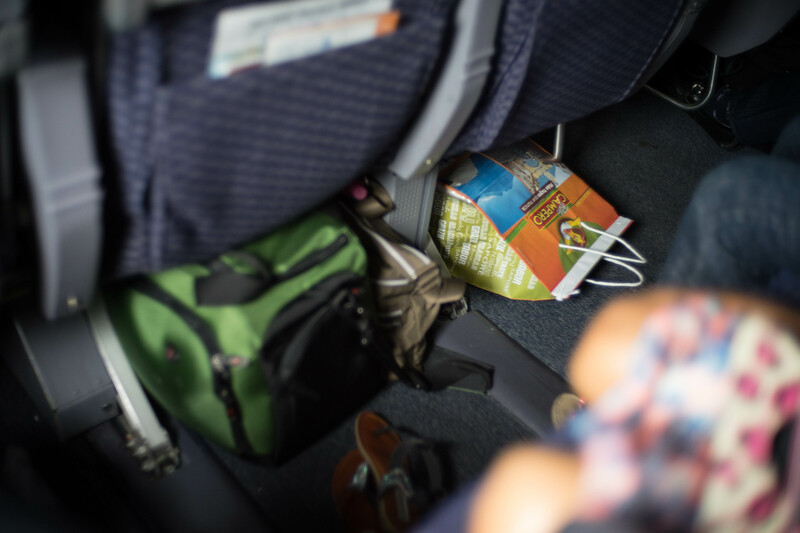 In the second, they’ll dig through every single pocket of your suitcase – but Pollo Campero bags aren’t suspect. 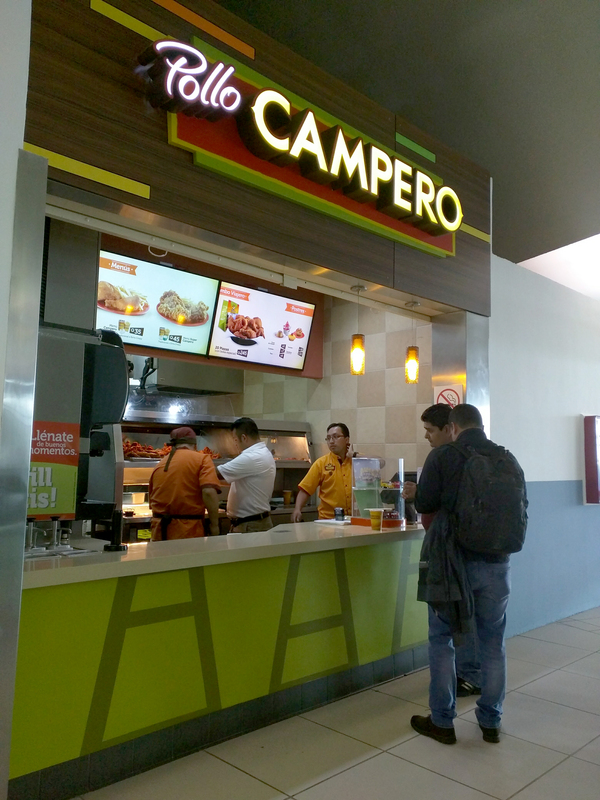 This past Friday I got to the Guatemala City airport a bit early and – after getting my boarding pass, wandered around for a couple minutes before finding what I was looking for: Pollo Campero. Sure enough, as I walked up, I saw a couple walking off with two giant Combos Viajes, and got in line behind a man that was just getting one for himself. 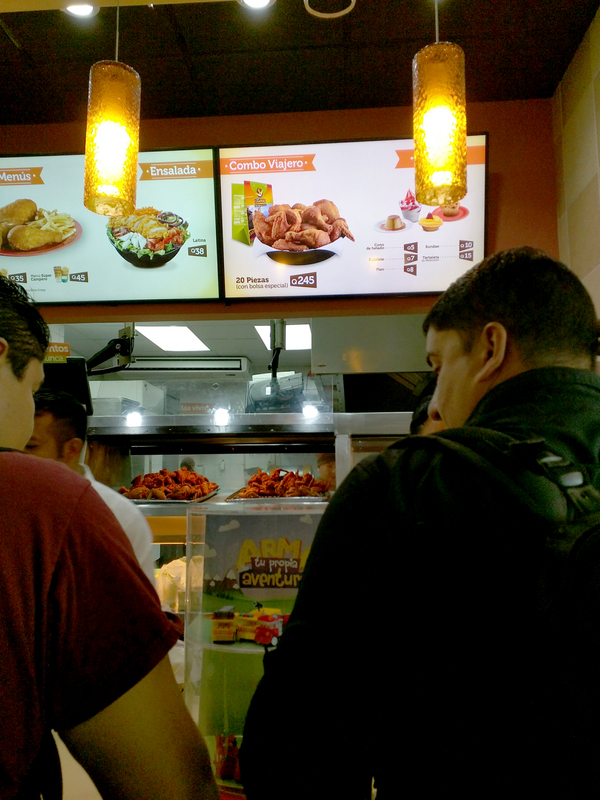 Pollo Campero in the Guatemala City airport. I live alone, so there is no real reason for me to buy so much chicken, but as a my own private joke – my own little nod to the culture that I barely understand – I bought a single piece of chicken for 15 quetzales “to go” before getting in line for security. My Pollo Campero lunch on the way home from Guatemala. The flight back didn’t have as many Combo Viajero bags as I’d expected – maybe Central Americans living in Mexico aren’t quite as adamant about their Pollo Campero as those living in the US – but there were still a few. I felt a little bad halfway through the flight as I pulled the chicken out of my bag – the spicy smell is strong (almost as strong as the body odor emitting from the german backpacker next to me). …but it was worth the guilt – the stuff really is delicious.